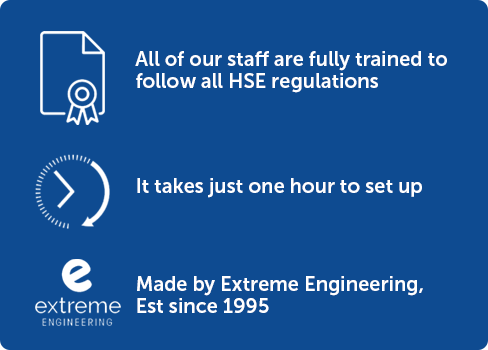 Skyfall mobile zip wire hire is the UKs first, go anywhere zip line attraction, perfect for your next team building event idea. 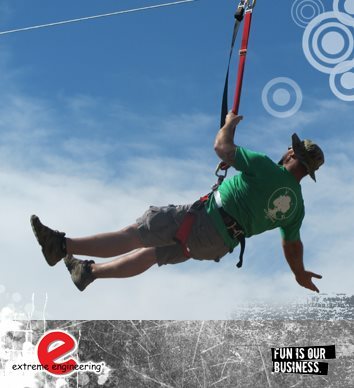 Skyfall zip wire gives you the opportunity to challenge your team and have them experience the thrill of riding a zip line. 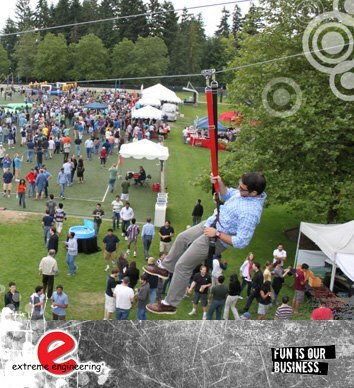 You staff and their teams will think the zip line looks fun, so why not double it up? 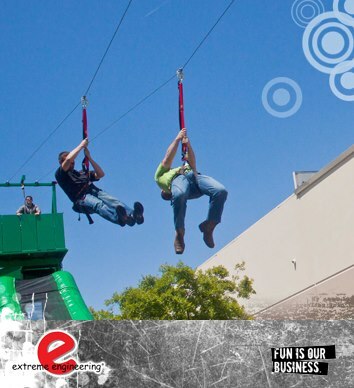 Two mobile zip lines can run together so your staff can ride the wire with a colleague alongside them. 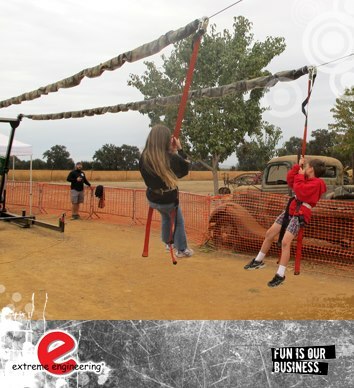 It is a great way to encourage team building, or create a competitive streak with a race down the line. 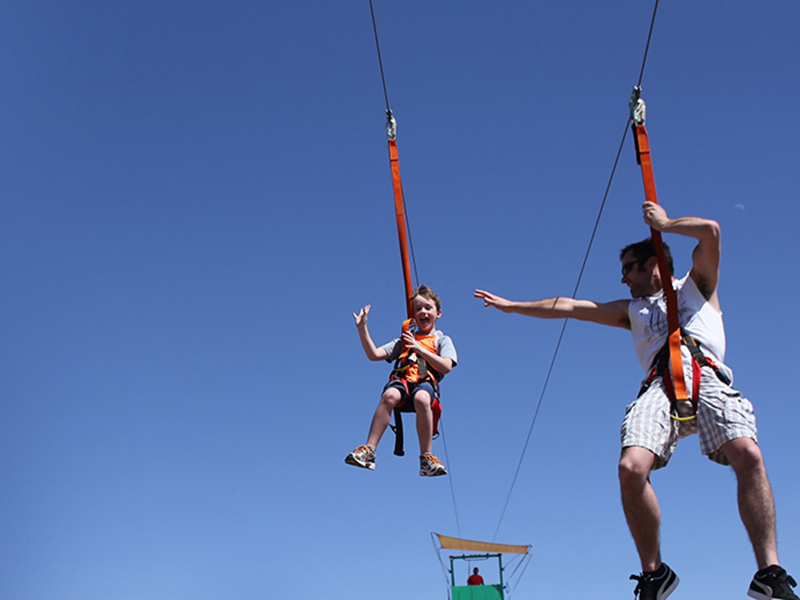 Imagine the sensation your staff will get riding on up to 220 feet of mobile zip wire at 21 miles per hour – they’ll love the experience of the Skyfall mobile zip line. It’s amazing what happens to even the quietest of people when they ride the zip wire. 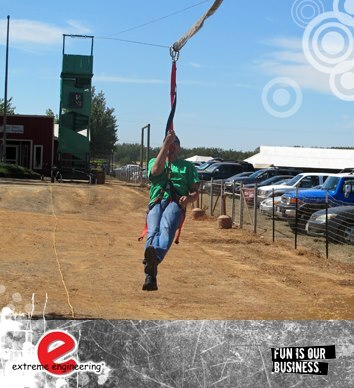 Bring the Skyfall mobile zip wire to your team building event and delight your staff. 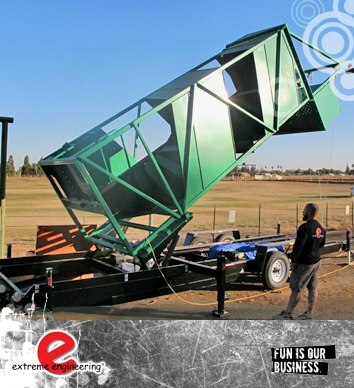 It takes 1 hour to setup and can be erected on almost any terrain.